Professor Peter Karuso, from the Department of Molecular Sciences at Macquarie University, recently set sail on the CSIRO's purpose-built research vessel, the RV Investigator, on a 31 day voyage that covered over 2,600 nautical miles off the Western Australian coast. 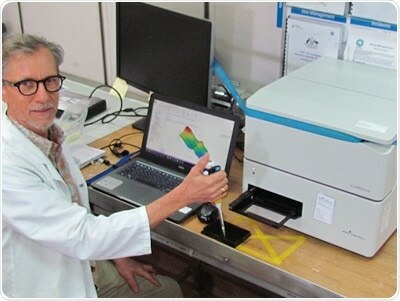 On board was the CLARIOstar making fluorescence and absorbance measurements on high sea possible. 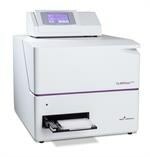 The CLARIOstar was used for on board fluorescence and absorbance measurements. Peter’s aim, whilst on the RV Investigator, was to sample sponges from 20-120 m depths and assess the correlation between fluorescence in these sponges with the presence of symbiotic cyanobacteria or unicellular algae. As there is only blue light left below 100 m, if the sponges contained fluorophores that converted blue to red light, this would aid photosynthesis in deeper water in return for organic nitrogen and carbon from the cyanobacteria. Peter’s particular interest in marine and fluorescent natural products focusses on the application of small molecules to biological systems, their ecological significance and applications in biotechnology. On the voyage, Peter sampled over 100 sites, collected 20.5 tonnes of sponge and preserved 1,551 sponge tissue samples. 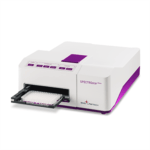 BMG LABTECH Australia kindly supported this research by loaning a CLARIOstar microplate reader, which made on board fluorescence and absorption readings possible. Because of the labile nature of chlorophylls, without the onboard access to the CALRIOstar the sponge chlorophyll/fluorescence survey would not have been possible.